Mull Eagle Watch - Join our eagle experts to get the low down on these high fliers. Mull Eagle Watch offers ranger-led visits to view Britain’s largest and most impressive bird of prey, the white-tailed eagle to two hides - Glen Seilisdeir viewing hide in Tiroran Community Forest and the West Ardhu viewing hide in the North West Mull Community Woodland. As well as white-tailed sea eagles, there’s also a really good chance of seeing other wildlife including golden eagles. Guided visits run from April to October. The ranger-led trips will run seven days a week between the two viewing hides. Trips usually run twice daily at 10am and 1pm and last for two hours. Subject to availability, visits run on request at other times of year. 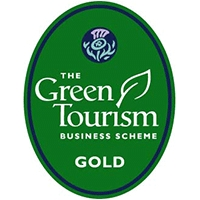 Booking is essential and can be made through the VisitScotland iCentre at Craignure on 01680 812556. What can I hope to see? Adults, including RSPB members £10. Under 16s, £5. Family of 4 ticket, £25. Trips are free to permanent Mull residents. Please pay your guide on the day, with cash or cheque. Income from the guided tours benefits local good causes. Location changes regularly, so please double check you know where to go when booking. The meeting point is just off the B8035 road in Glen Seilisdeir. You can travel via the scenic Salen route or head round from Craignure. Please note: From Tuesday 18 April to the end of June 2017 the route to the Mull Eagle Hide in Tiroran Community Forest will be affected by the closure to traffic of Knock Bridge on the B8035 Loch na Keal route. From that date until further notice the access to Tiroran will be via the A849 Craignure to Kinloch Junction and then the B8035 to the Mull Eagle Watch road signs and meeting point. Please allow extra time for your journey. Drive times from Craignure to Tiroran would be about one hour. Turn off the B8073 Dervaig–Calgary road at the sign for The Old Byre/Torloisk and keep on that road until you see the signs for Mull Eagle watch. When approaching both sites, please look out for Mull Eagle Watch signage and wait for rangers to instruct you further. Nest area protection measures will be in place - please follow any instructions carefully.